Rumour: Android Gingerbread arriving next week? Android Gingerbread - on the way soon? Rumours have surfaced that Android Gingerbread - the eagerly awaited next generation of the popular mobile OS - could be with us in a matter of days. Gingerbread was expected to be the tablet-friendly Android 3.0 release, but it's looking increasingly likely to be an incremental upgrade and Android 2.3 for smartphones. That wouldn't rule out some tweaks to make Gingerbread run nicely on the slew of Android tablets that are arriving at the moment - including the Samsung Galaxy Tab. The rumour has surfaced from a 'trusted source' which of course means very little, but it does appear to be backed up by less subtle hints from Google – including a giant Gingerbread man on the company's lawn. There are also some tweaks in the latest Google Maps release that suggest that Gingerbread is coming soon. So, with Samsung's much-hyped phone launch scheduled for 11 November in New York, the stage is well and truly set for a high profile announcement. 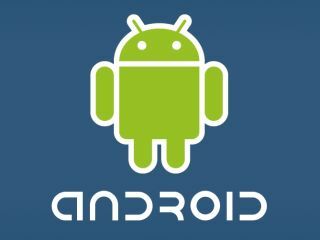 If Gingerbread is Android 2.3 that would mean that Android 3.0 could well prove to be Honeycomb – a name first outed on TechRadar a few weeks ago.